Last year, the Centers for Disease Control and Prevention released maps of American obesity that pegged the country's Southern states as the fattest at Fat Camp USA. Now, a study out of the University of Alabama at Birmingham is taking the CDC to task. Southerners aren't the fattest, the study concludes, they're just more honest about their height and weight. The obesity maps in question were released last year, in the CDC's latest batch of American Obesity Facts. The data was unambiguous: America has a weight problem. The country's been battered hard by the obesity epidemic, and no region more brutally than the South. But in a paper published in the latest issue of the journal Obesity, University of Alabama at Birmingham researchers led by biostatistician George Howard conclude that the CDC's numbers are skewed. Why? "Differential misreporting" Howard tells Alabama Live. In other words: people lie. The CDC study relied on a nationwide telephone survey. The UAB's numbers, on the other hand, come from the REGARDS (Reasons for Geographic and Racial Differences in Stroke) study, wherein people's weight and height are measured directly. When the researchers compared data from both studies, they found that pretty much everyone tends to overreport height (though it's more common in men) and underreport weight (more common in women) when surveyed via telephone. To reiterate: people lie. But Howard's team noticed something interesting, namely that some regions of the U.S. seemed to be lying more than others. [Howard's team] analyzed the weights in the nine geographic regions used by the U.S. Census Bureau [see above]. [The researchers] found that the West North Central region, which includes Iowa, Kansas, Minnesota, Missouri, Nebraska and North and South Dakota, ranked fourth in obesity by the telephone survey results. But when actually weighed in the REGARDS study, people from that region ranked first in the nation for obesity. "It is hard to know exactly what is going on, but my speculation is that people in the South are telling the truth more," says Howard. "Perhaps there is not as much stigma connected to obesity as say someone in California, or in this case, Minnesota." Is it surprising that people were found to self-report being taller and lighter than they actually are? Not really. 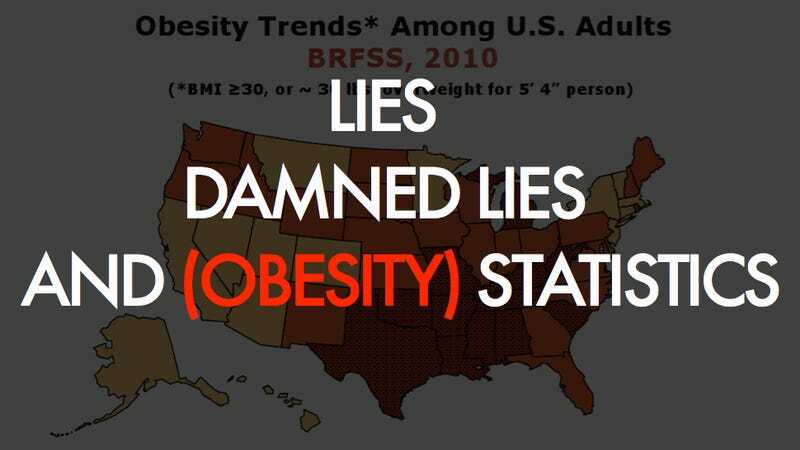 Self-report studies are often biased by social desirability, which means even the healthiest country on Earth is liable to be full of big fat liars. The regional distribution of misreporting is certainly interesting, though. Are people in the Southern U.S. less embarrassed by their weight? Is the rest of the country more ashamed?